One of the biggest perks of owning a pool is being able to go swimming whenever you want. Unfortunately, many pool owners find themselves cleaning leaves out of the pool before being able to enjoy a swim. Also, when the pool isn’t in use it presents a potential drowning hazard to children and animals. For these reasons, it’s important to practice proper pool hygiene and utilize appropriate safety precautions. Pool covers play the vital role of keeping stuff and people out of your pool. However, not all covers are the same. Some are designed to keep people out, some are designed to keep warmth in, and some are just used to keep small debris out. In this article, we’ll be reviewing the best pool covers on the market and we’ll teach you about the different types and materials of pool covers. 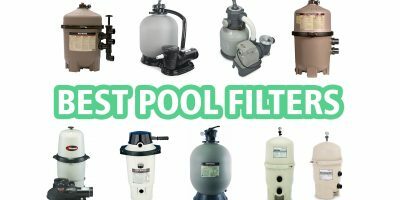 You may also like our articles on Best Pool Alarms and Pool Gate Alarms or Automatic Pool Cleaners. This 16-foot by 32-foot blue mesh safety cover is backed by Yard Guard’s impressive 15-year warranty and is made in the U.S.A. It has the industry’s strongest spring, with 22-inch rub strips and all necessary anchors and straps included. The straps run along the top and bottom of the cover for maximum strength. The mesh material allows for quick drainage of precipitation without letting leaves and other small debris in the pool. Yard Guard’s 18-foot by 36-foot green mesh safety cover for in-ground pools is designed to protect your pool from the elements. It has a triple nylon stitching strap that gives it 2800 lbs of webbing strength, making it one of the strongest mesh safety nets available. Specifically designed for use in residential pools, these covers meet all ASTM safety standards and are intended to protect your pool from winter weather conditions while also keeping people and pets for falling in. Reviews for this product are scarce but the Yard Guard brand is generally known to make quality products and their warranty is hard to beat. Overall, this is well-rounded mesh cover that provides a moderate level of protection from the elements while also being sturdy enough to keep people from falling into the pool. If you find your pool is a little too cold in the morning or the day after a chilly night, you can use one of these solar pool covers to keep warmth in the pool and absorb the heat of the sun. These are an inexpensive yet affordable way to keep the warmth in your pool while also keeping out most small debris. The sheet can be easily cut to fit the shape of your pool and it’s flexible enough to accommodate any configuration. It’s backed by a 7-year warranty, which is somewhat impressive for something that looks a lot like fancy bubble wrap. The bubbles help transfer solar heat into the water, thereby increasing the temperature of the pool. This solar cover blanket from Sun2Solar is a bit thicker at 16 mil, which gives it the ability to absorb more heat. This one is equipped with a quick drain grommet system that makes it easy to pour off excess rainwater after a summer shower. On average it raises the pool temperature by about 5-10 degrees while also helping to maintain warm temps throughout the night and during cloud days. Like other solar sheets it’s not sturdy enough to support much more than a twig but it will keep the most common small debris like dirt and leaves out of the pool. 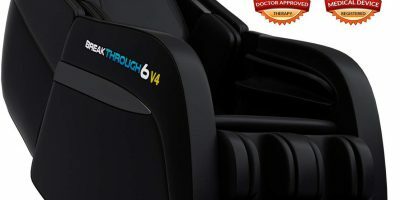 It’s backed by a 7-year limited/2-year full warranty. Blue Wave makes this solar blanket with a medium thickness of 14 mil but it’s easily one of the most popular brands of solar blanket pool covers sold online. It comes in 7 easily selectable size variations: 12 x 24 ft, 14 x 28 ft, 16 x 32 ft, 18 x 36 ft, 20 x 40 ft, 20 x 44 ft, and 30 x 50 ft. Combine the wide range of sizes with a 6-year warranty and tough 14-gauge material and it’s easy to see why this product has been reviewed by hundreds of buyers. Keep in mind you can usually trim the blanket to fit your pool size. However, if you buy a sheet that’s too small, you can’t easily combine sheets to achieve full coverage of the water surface. Thus, you should only consider a solar blanket if it’s big enough to comfortably cover your pool’s surface. Sun2Solar’s 12 mil solar cover has a uniquely colored blue design that gives it an appealing look on the water. Like other blankets with similar specifications, it can cause water temps to rise 5-10 degrees and prevents up to 95% of evaporation. When it’s time to close down the pool for the winter, you need something that’s going to stay put and last through the season. Here are some of the leading options in this category. Once again Blue Wave delivers with a strong and well-anchored winter protection system that comes in a variety of sizes and manages to compete with every alternative in terms of price. It’s designed to protect the pool from snow, rain, ice wind, and sun. However, it’s not meant to stop people or pets from falling in. We mentioned this brand’s winter cover first because it had the most abundant and accessible sizing options, and it has maintained a decent star rating despite having many reviews. Each cover also comes with 5 feet of extra room on each edge to allow for optimal fitting, so this 20 x 40 ft package actually includes 25 x 45 feet of material. Blue Wave makes it easy to order the same exact cover for all of these pool sizes: 12 x 20 ft, 12 x 24 ft, 14 x 28 ft, 16 x 24 ft, 16 x 32 ft, 16 x 36 ft, 18 x 36 ft, 20 x 40 ft, 20 x 44 ft, 25 x 45 ft, and 30 x 50 ft.
With a 10-year warranty and ultra-durable polyethylene material, this is a strong selection for almost any kind of pool. 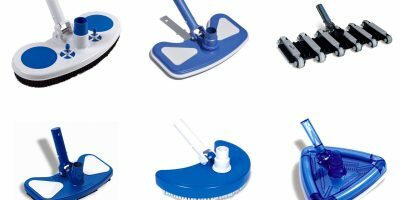 We didn’t pick a specific size to review because Pool Mate offers this product in virtually every size or shape your pool would need. These are the in-ground sizes they have: 16 x 32 ft rectangle, 20 x 40 ft rectangle, 30 x 50 ft rectangle, and 30 x 50 ft rectangle. These are their above ground options: 12 x 18 ft oval, 12 x 21 ft oval, 15 x 30 ft oval, 18 x 24 ft oval, 18 x 33 ft oval, 15 ft round, 18 ft round, 21 ft round, 24 ft round, and 28 ft round. That makes 14 size variations, so if other brands don’t have yours in stock, Pool Mate is definitely worth checking out. You get 4 feet of overlap material on all sides to allow for easy installation without stretching or tearing. The seams of the cover are heat sealed to better protect the pool from cold temperatures and prevent algae growth. This product comes with a 12-year warranty and is known as one of the best winter covers for above ground pools up to 24-feet round. The material is actually 28 feet in diameter, giving you about 4 feet of clearance around the edges. Like Blue Waves other products, the Silver winter pool covers comes in a variety of sizes: 12, 15, 18, 21, 24, 28, and 30 feet. You also get a winch tightener for easier installation and heavy duty cable for additional support. This popular blue mesh winter cover from Equator Pool Products comes with an impressive 15-year warranty. All hardware is made from heavy duty materials, giving it the highest tear and abrasion resistance in its price range. 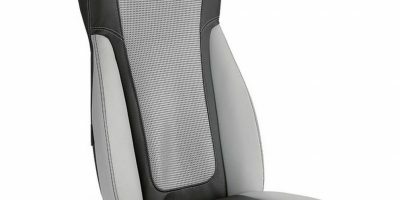 Despite being sturdy enough to support the weight of an adult or pet, it’s easy to put on an and take off, with an ergonomic installation process that almost anyone can perform. Despite not being completely hidden from sight, the desert-themed camouflage design on this product makes it blend in well with many backgrounds, especially in areas like Southern California and Arizona. It’s not heavy duty, so don’t expect to keep people from falling in, but it does a good job of protecting the pool from debris. It’s a solid cover that doesn’t allow water or dirt to pass through. Robelle offers this cover in 8 different sizes: 16 x 32 ft, 16 x 36 ft, 18 x 36 ft, 18 x 40 ft, 20 x 40 ft, 20 x 45 ft, 25 x 45 ft, and 25 x 50 ft. This interesting contraption can turn any pool cover into an automatic cover with a simple installation that is compatible with just about every pool. It comes in two sizes to accommodate the majority of pool widths – one expands up to 18.7 ft and the other expands up to 21.1 ft. Technically this is a semi-automatic cover reel because a manual cranking action is required. This adjustable automatic solar blanket reel system is compatible with pools up to 24 feet in width and can be activated via remote control. Power is supplied via the included solar panel and battery setup. As you know, putting and and taking off a solar blanket can be a real hassle. This reel eliminates the extra effort involved and there’s no need to even plug it in. It can roll up 8-10mm blanket material, but if you order the heavy duty version it can be used to roll up 10-22mm blankets. This is definitely one of the most expensive option on this list, but for someone who frequently finds themselves struggling to put on and remove their solar blanket cover, it’s certainly worth consideration. It’s compatible with pools up to 20 feet in width and includes a 40-foot cable and 115 volt transformer that can be plugged into any standard outlet. It’s remote activated but features a manual override feature as well. Blue Wave is known for offering a wide range of covers to accommodate the sizes of all pools, and the brand has delivered on that expectation with their gold above ground winter cover. This cover is available in 8 sizes: 12 ft, 15 ft, 18 ft, 21 ft, 24 ft, 28 ft, 30 ft, and 33 ft. The tarp is designed to withstand the elements of winter throughout the season and is backed by an industry-leading 15-year warranty. 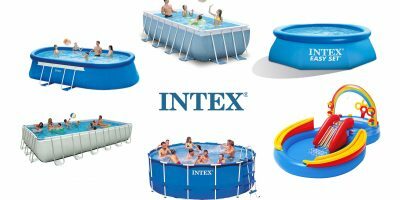 This cover from Intex is surprisingly cheap yet effective at keeping 15-foot above ground pools clean. It has built-in drain holes to prevent water buildup and the metal supports ensure a snug fit every time. This product is designed to lengthen the swimming season and save the pool owner money by preventing premature cleanings and treatments. Snow2Winter’s 24 foot above ground winter cover has quickly become one of the most popular covers online thanks to its reasonable price and 12-year limited/3 year full warranty. Although designed for 24 ft pools, the cover size is actually 28 ft in diameter, giving you 4 extra feet of overhang for easy installation. Double grommets are installed every 3 feet to ensure a tight fit around every corner. The tarp also inhibits ultraviolet light, thereby protecting the interior of the pool from sun damage. This 24 ft cover from In the Swim is made of ultra-strong weave fabric and is designed to accommodate up to 18 inches of rain or snowfall. This product is backed by a 3-year warranty. Once again Blue Wave provides a well-reviewed, affordable product that can accommodate most in-ground pool sizes. This loose mesh leaf net effectively protects your pool from leaves, twigs, dirt and other small debris. It’s available in 11 sizes: 12 x 20 ft, 12 x 24 ft, 14 x 28 ft, 16 x 24 ft, 16 x 32 ft, 16 x 36 ft, 18 x 36 ft, 20 x 40 ft, 20 x 44 ft, 25 x 45 ft, and 30 x 50 ft. This leaf net from Robelle is actually made of netting and is primarily intended to keep leaves out of your pool as the name suggests. It’s ideal for yards that experience heavy leaf fall. A 5-year warranty is included. This is definitely one of the more expensive options on this list, but for the price you get a highly durable cover that can support the weight of an adult or pet. It’s made of ultra-durable vinyl laminated polyester fabric and comes with its own pump for draining water from the surface. Reviews for this product are nonexistent, but we can assume that if someone were disgruntled with a product that costs so much, they would probably leave a negative reviews. Since there are none, it probably does its job well. This one if about half the cost of the one above but still gets the job done, which explains why it has more reviews. It has a unique center drain panel that prevents water buildup. If you’re going to be buying a pool cover that uses brass anchors, it would be a good idea to get a backup 10-pack to have around just in case you lose or break one of the anchors that came with your cover. This product hasn’t yet been reviewed by anyone, but we can assume that they serve their intended function, as there aren’t any complaints either. Although some pool covers will include a proprietary patch kit, it’s a good idea to have an extra one laying around just in case. This setup is designed to keep your above-ground pool cover form floating on the surface of the water,which can reduce performance. It can be used on pools up to 27 feet round. The cover rests atop the supports, which are secured to a floating ball. Let’s take a look at the different design variations and features that make each type of pool cover unique. 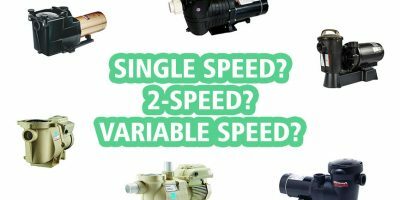 This information will help you decide which kind of cover(s) would be most suitable for your current pool setup and conditions. Safety covers are typically made from durable materials that are capable of supporting the weight of one or more humans. They’re designed to keep children, animals, and large debris from falling into the pool. Out of all the pool cover types, these tend to be the sturdiest and most reliable. However, they’re often constructed of solid or heavy components and can be difficult to maneuver, so they’re not the easiest to put on and take off. Most safety covers are made for in-ground pools but there are a few durable options for above-ground pool owners as well. Nobody likes having to go swimming in a cold pool. Unfortunately, in many places temperatures drop significantly after the sun goes down, causing the pool to lose heat overnight. Solar pool covers are made of bubbly material designed to keep absorb warmth from the sun and trap it in the water beneath the cover, thereby maintaining a consistently comfortable pool temperature. Thermal pool covers are similar to solar covers in that they are designed to prevent evaporation and keep the pool warm. However, being that they’re efficient insulators they don’t allow the sun’s warmth to penetrate the cover, so they won’t raise the temperature of the pool like a solar cover. These are useful for areas where excessively hot day temperatures would make using a solar cover undesirable. Winter pool covers are perhaps the most popular because they serve the important function of preserving the pool throughout the roughest months of the year. Left uncovered, a pool can suffer wind and frost damage during the winter. However, many pool owners choose to use this kind of cover year-round because of their many advantages. As the name implies, this kind of pool cover can be hidden away in a sunken compartment at the edge of the pool when not in use. The roller and the cover itself stow away out of sight for a more aesthetically pleasing pool area. These are often custom jobs that require modifications to install on existing pools. If you’ve got a larger budget and are looking for something more automated, consider an automatic pool cover that opens and closes with just a button push. These are ideal for elderly people and busy moms who don’t have the time or ability to repeatedly remove and replace the pool cover when needed. Highly expensive compared to other options – costs range from $2,000 – $8,000 depending on the model. Doesn’t increase pool water temperature, so to achieve that affect a solar cover would need to be used in conjuction with one of these. There’s no clear winner in this comparison, as each type of material presents its own unique advantages and disadvantages. Ultimately, it’s up to the pool owner’s preference to decide which perks would best accommodate their needs. Don’t let the name “safety cover” fool you, as it is commonly overused and misused in this industry. All pool safety covers are not capable of supporting the weight of an adult. Many are simply meant to protect your pool from wear and tear. Furthermore, don’t rely solely on a pool cover to keep your pool area safe. Having an enclosure and alarms setup at the entrance and on the surface of the pool are also good ideas. It’s up to you to use your discretion and thoroughly review a product’s description before entrusting it to protect your pool and family. As you can see by examining the above information, there’s definitely a reason to have more than one kind of pool cover. In the spring a solar cover would work well to keep chilly night temps from cooling your pool water, while in the fall you might want something more sturdy to keep the wind and leaves from littering the surface. Ideally, if you live in an area that experiences stark contrasts in weather, it would be a good idea to have one of each type handy. Before you decide on any of the above products, be sure to become familiar with the installation and size requirements to ensure that your pool will be compatible with the cover. If your pool has any obstructions within one foot of the edge of the pool, such as a ladder or slide, this should be taken into consideration when measuring and planning the construction of your pool or the installation of a new cover. Taking all this into consideration beforehand will save you the hassle of having to return the cover or being stuck with one that doesn’t fit right. Generally a good pool cover will include a warranty of some sort. However, it should be noted that certain actions could void the warranty, so be sure to examine the terms and conditions before buying. Some pool covers are relatively expensive, so you don’t want to be caught in the horrible position of having to buy a replacement.